In particular, Billiar, who works in the growing research field of mechanobiology, will explore how mechanical forces and stresses affect programmed cell death. Also known as apoptosis, programmed cell death is an essential part of normal growth and development. But when cells don’t die as they should, the result can be pathologies like arteriosclerosis, autoimmune diseases, and lung fibrosis. Billiar says a cell’s mechanical environment plays a deciding role in either initiating or inhibiting programmed cell death. 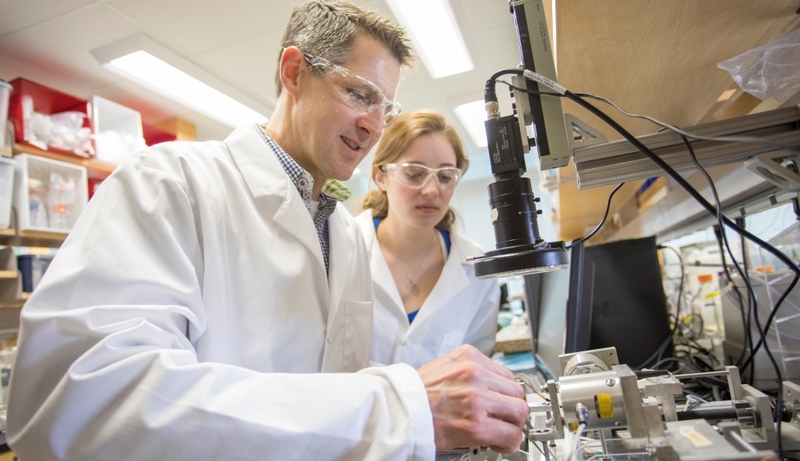 And with the NSF award, he will work to identify the precise mechanical stimuli and the cell signaling networks that initiate normal cell death by looking at how cell size, shape, stiffness, and specific outside stresses affect the cell and its ability to die normally. Billiar is working with co-principle investigators Nima Rahbar, associate professor of civil & environmental engineering at WPI; Qi Wen, associate professor of physics at WPI; and Dannel McCollum, professor of biochemistry and molecular pharmacology at the University of Massachusetts Medical School. By better understanding what affects normal cell death, Billiar says it may be possible to regulate it by developing medications that leverage the mechanical properties of molecules and cells. These mechanomedicines could prevent or cure a list of diseases and conditions, ranging from cancer and heart valve stenosis to fibrosis and muscular and organ atrophy. In a healthy adult body, the number of cells stays relatively constant. While millions of new cells are produced every second, millions of others die through apoptosis. A controlled and normal way to remove unwanted and unneeded cells, apoptosis is required for a variety of processes in the body, including wound healing. Through their normal functioning, most cells experience mechanical forces, like pressure or stretching. They respond to these stresses by migrating, proliferating, and even contracting like muscle fibers. A number of processes, including wound healing, seem to produce areas of high and low stress. How these differences in mechanical stimuli influence a cell’s biological functions, including enabling or impeding cell death, is not well understood. Billiar says he believes that apoptosis is more likely to take place in areas of low stress, and may be connected to the dissolution of actin fibers, known as stress fibers, that seem to enable a cell to detect mechanical forces. The lack of apoptosis in high stress areas may result in the overgrowth of cells, a phenomenon associated with cancer and fibrosis. He will test his hypothesis by systematically changing the mechanical environment of individual cells and cell clusters and then examining how the cells sense those changes and respond through biochemical signals. Billiar also will study how stresses are generated and transferred through cell populations. He says they do not appear to spread uniformly, creating some areas of high stress and others of low stress. 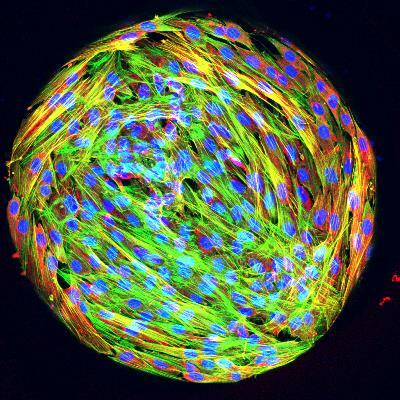 In some processes, including wound healing, these varying forces may allow the body to rebuild and remodel tissue without ending up with an overabundance of cells. But in other processes, such as tumor growth, cells don’t seem to respond normally to these mechanical cues. Worcester Polytechnic Institute, a purpose-driven community of educators and researchers, has been the global leader in project-based learning for 50 years. An impact maker for higher education and the world, WPI prepares confident, competent problem solvers with a project-based curriculum that immerses students in authentic, real-world experiences.